For over two decades, Noel Davies evolved into the musical journeyman working with the top Australian artists including Marcia Hines, Renee Geyer, Doug Williams, Rebecca Johnson Band and Colin Hay. Noel is a prodigious guitarist and vocalist with influences wide and varied from Blues and R&B and Rock to Funk and Jazz. 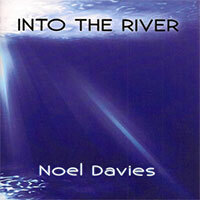 Noel's finely honed cutting edge sound is showcased in his 2017 release, Into The River.